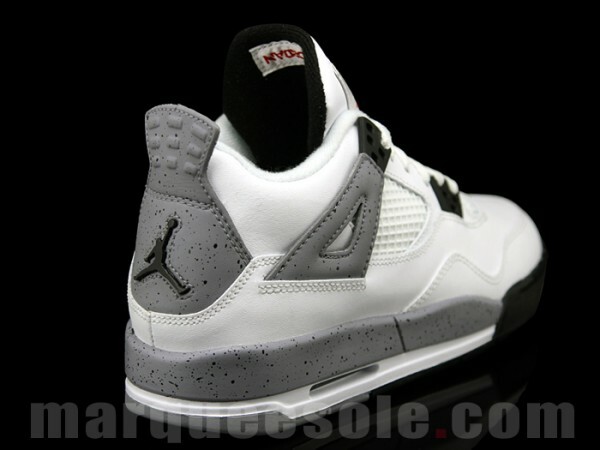 Another look at the grade-school edition of the "Cement Grey" Air Jordan Retro 4. 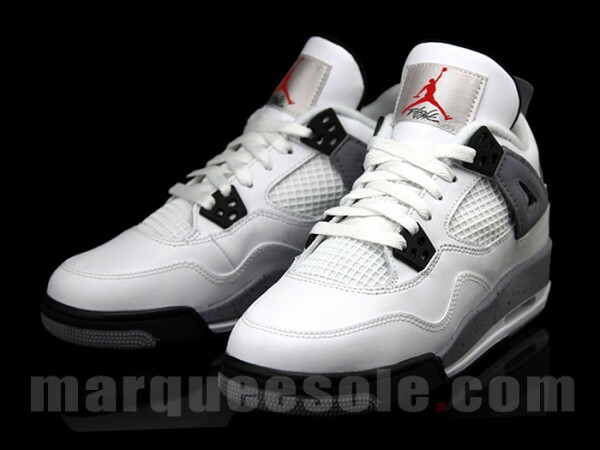 Most likely already at the top of everyone's list of "must-haves" for the next year is the timeless White/Cement Grey Air Jordan Retro 4. Releasing from toddler sizes all the way up to men's sizes, we now have another look at the grade-school edition of this classic Air Jordan IV colorway. 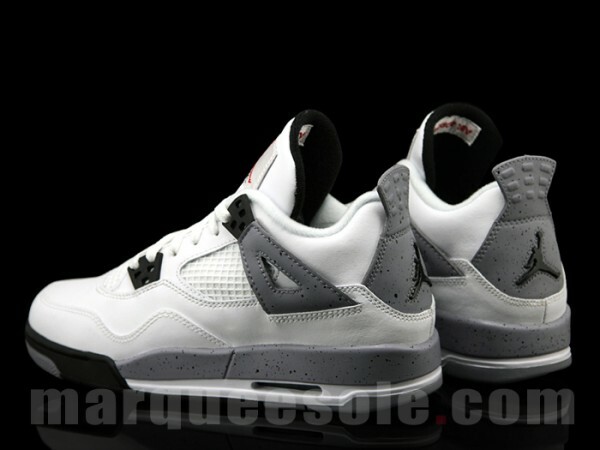 They'll arrive to us nearly identical to the men's edition, with the exception of the modified grade-school midsole down below. 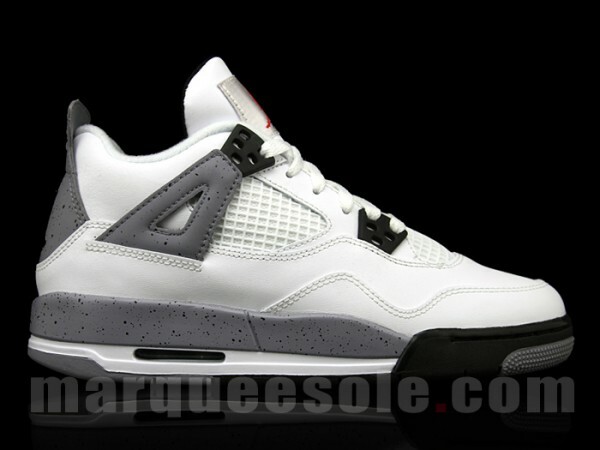 As far as details, the 2012 White/Cement Grey Retro 4 features a slightly darker grey throughout the midsole and heel badge. 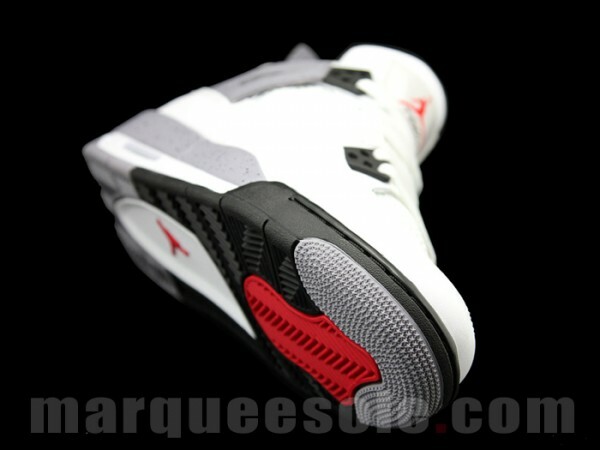 Black paint speckles also make a return, along with the varsity red tongue Jumpman and outsole detailing. 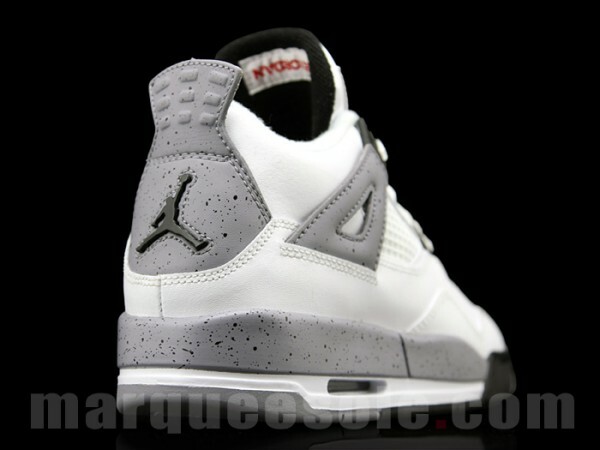 The Cement Grey Air Jordan Retro 4 is set to release February 18th 2012 at all authorized Jordan Brand retailers.